We offer Full Appeal Management for people who have been assessed as not eligible for NHS Continuing Healthcare and wish to appeal the decision. Our expert caseworkers can manage the entire appeal process on your behalf. supporting you at every step of the way, including presenting at appeal panels in person. Along the way, our caseworkers will keep you updated and explain each step of the process so you can make informed decisions and remain in control. The cost of Full Appeal Management varies according to the complexity of the case and the length of the claim period, but it will be based on our hourly rate , which is a fraction of many other firms. You’ll stay in control because we’ll never tie you in to a long contract and we’ll keep you updated at every stage. "As well as being diligent and highly professional, she was caring, kind and considerate and used down-to-earth pragmatism in steering us through the complexities of the process to give us the confidence to continue." "We are so glad we made contact with Beacon, after a long time struggling by ourselves. Not only are they experts in CHC, probably unrivalled, but they also care deeply about the people they are helping." "There is no doubt in my mind that we would not have succeeded without Beacon’s support. I have no hesitation in recommending them highly to anyone who is seeking advice regarding CHC." "We found out just before Christmas that our appeal was successful. I don’t mind admitting that when we got the letter my husband and I just burst into tears. 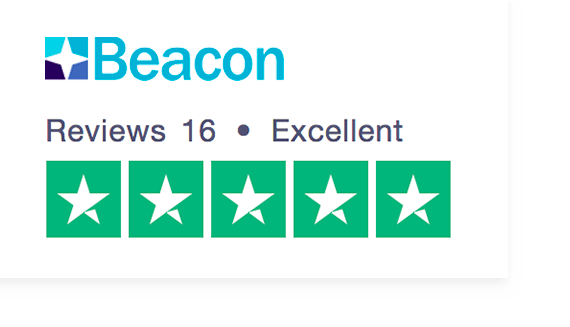 We can never thank or recommend Beacon too highly." "Would not have been awarded CHC Funding at local resolution appeal without the support and advice from Beacon.......they gave me the confidence and knowledge to fight for what I believed to be right." Why get Full Appeal Management? Our caseworkers have managed many hundreds of appeals and recovered over £8 million in care fees for families, with a success rate of over 70% in cases brought to appeal. It is possible to manage an appeal yourself, but the system is not user-friendly or accessible. For many people it can feel confusing and frustrating – and comes at an already stressful time in your life. By getting us to take the strain you won’t get bogged down in the volume and complexity of the administration and process. We are used to dealing with CCGs and other NHS bodies, we understand the confusing terms used and know how to keep the process moving and what step to take next.